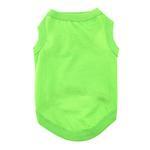 The Doggie Design Cotton Dog Tank in Green Flash will make your dog stand out and feels great! 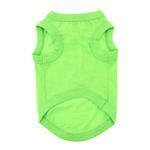 Dogs will love this wardrobe essential - a Cotton Dog Tank in Green Flash made by Doggie Design. 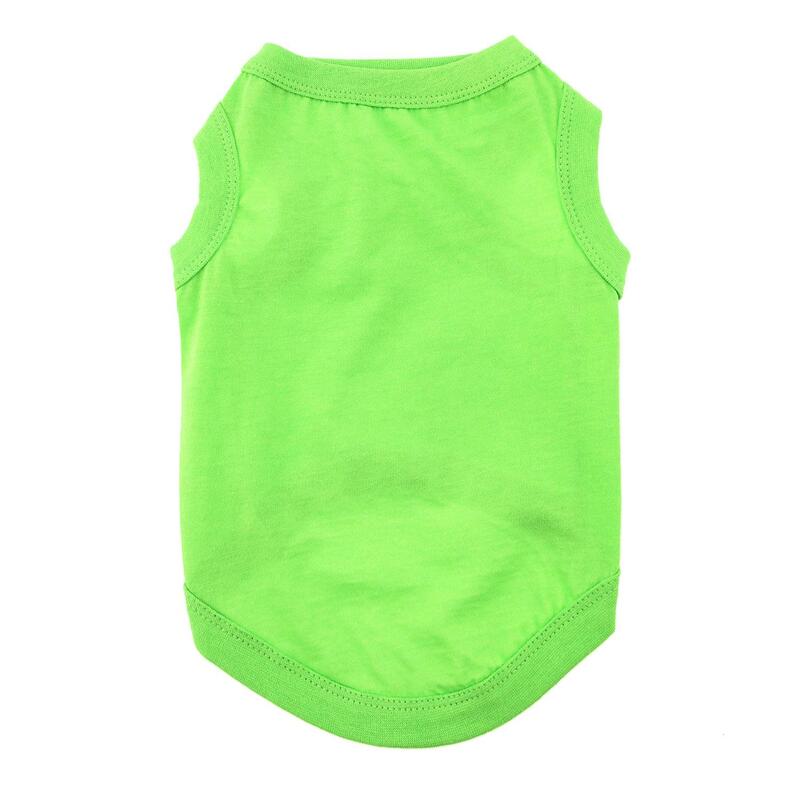 This comfortable, breathable tank top for dogs is made of 100% cotton. Get creative and let this plain aqua pet tank be the foundation for a whole outfit! Simply add a bandana, a scrunchy, or a skirt to add pizzaz to your dog's style. It's ideal for Mardi Gras, Earth Day, birthdays, or any spring or summer event. This bright green shirt is great for personalizing for sports teams, family events, and fundraisers. Take a bunch to your local screen printer and outfit the whole pack! Cotton Dog Tank by Doggie Design - Green Flash Customer Photos - Send us your photo! Frankie loves to get dressed up and whenever we show her one of her outfits she gets really excited because she knows she is going bye byes! They are always a perfect fit! Perfect fit! These tanks are perfect for my poodle. I wash and lay flat to dry. She loves them. Excellent quality. Posted On 06/22/17 by Diana J from , IL Yes, Diana J recommends this product! Adorable!!! Going to look so cute on my new puppy! Always a great fit, wonderful color ?? Beautiful bright color on this tank. Good fit. Posted On 06/03/17 by Patti L H from Salem, OR Yes, Patti L H recommends this product! When I saw the color of this basic shirt, I was hooked. Its bright and cheerful green is perfect for Spring/Summer. It is lightweight and well-stitched. The only thing I am careful about is washing it in cold water and air-drying until only slightly damp, as it is 100% cotton. Fits the "kids" perfectly, but cannot afford any shrinkage! Material nice and color is bright and pretty as pictured. Arm holes are too small for the size the tank is. Posted On 04/14/17 by Courtney B from , WA Yes, Courtney B recommends this product! The color is awesome! so bright!!! Great pet shop! Baxter had really unique stuff and the prices are great!